Three unknown masterpieces from 1979…. Back in 1979, disco was still popular – and a lot of great albums came out during disco’s heyday. Some by famous artists who were either true “disco stars” or albums by singers from other fields of music who just jumped on the disco wagon for a shorter time span. Then there were some great records released by singers or groups about whom nothing much is known – but that doesn’t take the focus away from the fact that their albums were great and still sound fresh and exciting today! I will give you a closer look into my three favourite albums from the glorious disco year 1979! I know absolutely nothing about Barbara Law, but this great record was recorded in Canada – so she might be Canadian…. Whether she has made any other records is hard to say, not much information about Miss Law to be found on the internet. But at least she made this great album! As far as I know this collection has never been released on CD, but if you search long enough, you will find a digital version (made from the original LP). The title track is by far the best thing on offer here, seven and a half-minute of true disco heaven (even if the lyrics don’t do much for women’s liberation!) Barbara Law has a smoky, sensual voice that sounds a little strained at times – but that gives her a special edge. “On My Own Again” is the only ballad here, but it proves that she is a more than competent singer, and that makes me wonder why she didn’t record more… The other 6 songs are of the upbeat disco/pop variety, and they are all good. All in all – this album is one of (disco)musics most obscure treasures, but well worth searching out! If any of my readers can supply me with som additional information on Barbara Law, please write me!! This Canada-based duo made another one of the most exciting albums of 1979 – led off by the incredibly infectious hit single “A Little Lovin’ (Keeps The Doctor Away)”. The whole album is very good, even their disco remake of Supertramps “School“. This album is another one way overdue for CD-release, and like the Barbara Law album, you can find digital versions that have been made from the original LP. As far as I have been able to find out, this was the second of three albums made by the Raes. The rest of their history, you can read HERE. 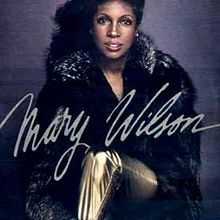 Maybe the greatest injustice in the history of music, is the fact that Mary Wilson’s great 1979 album has never been put out on CD! She started out in the Primettes in 1959, then was the only constant member of the Supremes until they disbanded in 1977. Diana Ross was always front and center of the Supremes, but on several of their many great albums, Mary Wilson gets the chance to shine as well – so this was not the first time music lovers got the hear her dark, honeyed tones, but this was the first time SHE was front and center on an album! There! A short survey on three of my all time favourite albums! If you have anything to add to these short musings, please let me know! If you already own these records – I guess it is because you enjoy them as much as I have through the last 37 years….